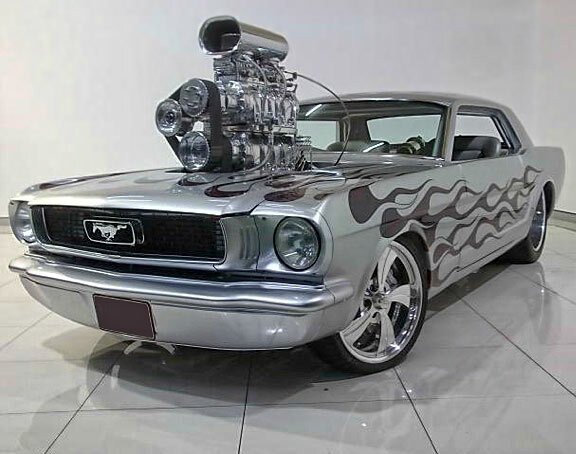 A sad waste of a 66 pony and a fantastic looking motor that should have been matched with a fantastic street rod!!!!! Very nice car. Always liked Mustang and falcons. The Carson Woods Project Inc.
Too much coming thru the hood , the paint job is nice ! Was a nice old mmustang now ruined and looking stupid. It’s like 80s hair…HIGHER? YES I SAID HIGHER! No matter what car they ruin or how much somebody will like it . If you would go by regular appearances the trans would be on top of the floor board !